Thought I would share my winter project here! 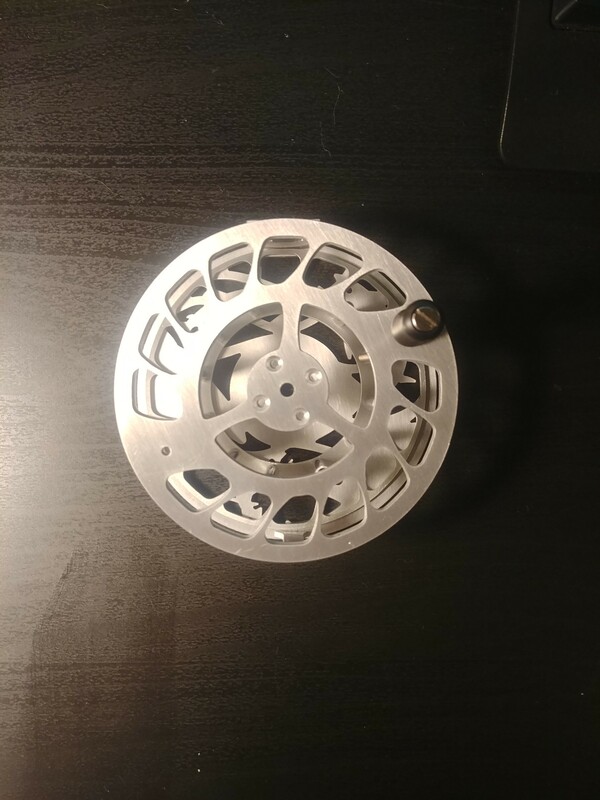 I was in need of a 4 weight reel for a rod that I built, so I decided to design a reel that would suit both my 4 weight and 6 weight rod. The goal was to design a high performance disc drag reel which would cost no more than two decent fly reels. Since getting into fly fishing, I have had this dream of having a fly reel on the market which could compete with the best. Maybe someday! 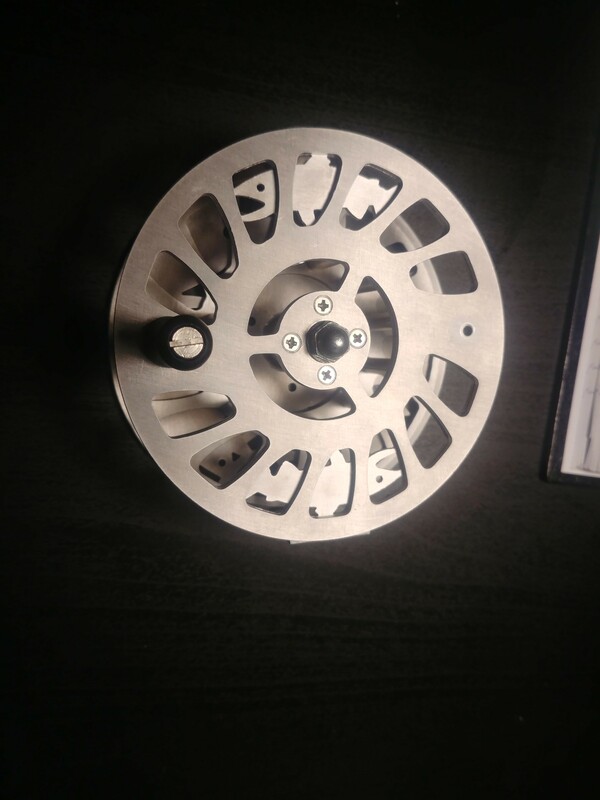 The reel has a disc drag system with alternating Teflon/Rulon and Stainless Steel drag washers and has plenty of adjustment, and will be sealed. Other features include an incoming and outgoing click sound, easy spool changing, and pretty much everything else a normal fly reel would have. 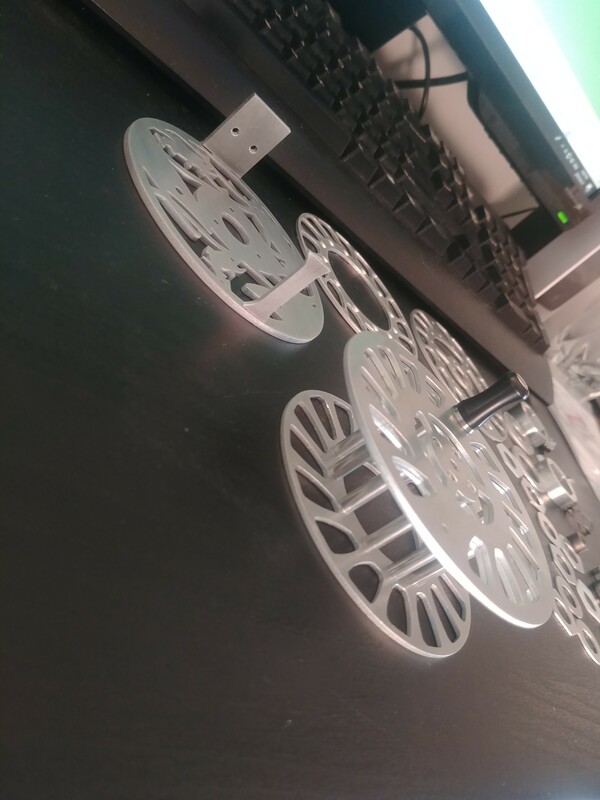 As my motivation for this project was high, I didn't have many issues designing the reel. Most things just took time and some research (and a background in designing stuff with CAD). The main challenges were designing a drag system to be adjustable AND sealed, as well as making it affordable. The first design was going to be fully CNC machined, but it would have cost upwards of $1500 from a Chinese manufacturer, which is way more than I was willing to spend considering it may not even work properly. I worked through a few more design iterations and ended up coming to the conclusion that I would have to do some unconventional things to make it affordable/worthwhile. I decided to utilize a lot of CNC laser cut parts in the design, which can achieve precision similar to CNC machining, although they lack the ability to do 3D features on a single part. Most of the parts have now arrived and I am totally satisfied with them all. The drag system has been tested and feels very smooth and strong, and all parts fit together exactly as they should. It really would have sucked if it was a disaster If all goes well, I will have a fish pulling line off this thing by the end of next week! Next winter I will likely design a second housing with a different graphic, as well as play around with more finishing techniques (polishing, etching, anodizing). For now I'll just enjoy it! I'll upload a picture when its completely finished. Cheers! That is simply fantastic!! Congratulations on an epic project. Excited to see it when it's all built and ready to fish. Keep the pictures coming and the story of the first ever fish landed with the reel. Man that is pretty cool...love the renderings you did. Pretty solid skill set you have there! I taught my students a little AutoCAD and Revit, takes a lot of work to make something as nice as you did. Nice design, like all the different fish on the casing. Drag looks pretty solid!